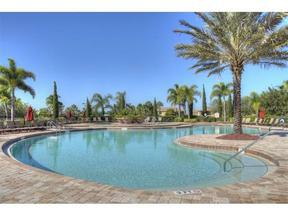 Beautiful professionally decorated 2/2 condo in the resort style community of River Strand! Newly built in 2015, King in Master, Queen in Guest room with views of golf course from lanai. $200 Golf Membership Transfer all you pay is cart fee! Fabulous amenities include large community pool with poolside bar, resistance pool and hot tub, tennis center, fitness center, clubhouse with restaurant and bar. Close proximity to I75, shopping, dining and Anna Maria Island Beaches!